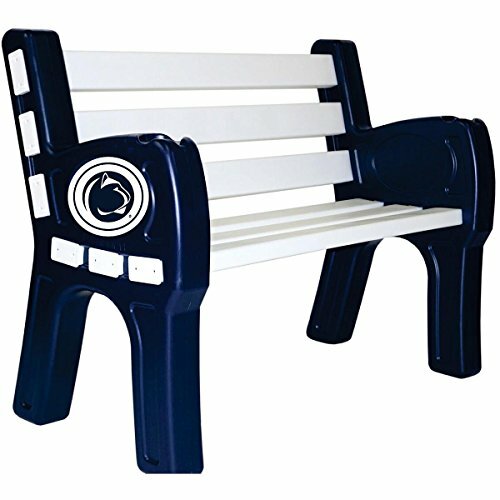 Imperial INTERNATIONAL PENN STATE NITTANY LIONS PARK BENCH by Imperial at J State Tigers. MPN: IMP 388-3017. Hurry! Limited time offer. Offer valid only while supplies last. Support your favorite team on your patio or in your yard with this park bench. The bench uses the primary and secondary colors of your favorite team. Support your favorite team on your patio or in your yard with this park bench. The bench uses the primary and secondary colors of your favorite team. Get this item now! Sturdy and easy to assemble. Plastic sleeves over pine lumber for extra durability. Primary and secondary colors. Officially licensed by the NCAA. Dimensions: 48" x 24" x 36". Made in the USA. View More In Golf Gift Sets.